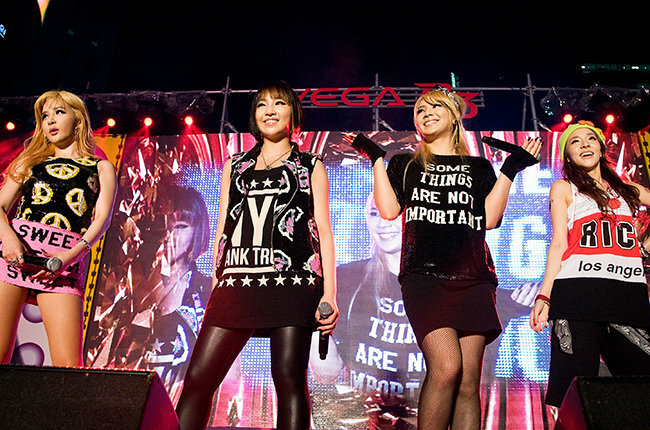 2NE1 is to release a new single for the first time in three years to say goodbye to their fans. CL and DARA’s agency YG Entertainment issued an official announcement on January 5 and said, “CL, DARA, and BOM is to release a new single titled ‘GOOD BYE’ on January 21. They have recently finished recording the song and shooting the music video. It will be their last official song.” It’s been only two months since the group’s disbandment, and all the 2NE1 members got together except for MINZY. “GOOD BYE” is a good bye from 2NE1 as well as their first new single in three years. MINZY is now a solo artist under Music Works, so she wasn’t able to participate. But still, fans are happy to see the three 2NE1 members together. YG artists have been dominating the charts since the beginning of this year, and we will soon be able to find out whether 2NE1′s new single will continue the trend and whether fans will welcome the group’s last present. ← [YG-LIFE] Exclusive: 2NE1 Finished Shooting a Music Video on January 3. Does this mean Reunion or a Present for Fans?